Congratulations to Sir Austin Sealy – Barbados Olympic Association Inc. The Barbados Olympic Association Inc. wishes to congratulate Sir Austin Sealy on being awarded the Knight Bachelor of the Queen of the Order of the British Empire. Sir Austin, a former banker and veteran sports administrator, received this honour for “distinguished service to sports administration”. Sir Austin, an old scholar of the Harrison College Secondary School, became involved in sport at the age of 14 with the Sunny Club in Bank Hall in 1953. His passion for sport became evident as he participated in athletics, basketball, cricket, football, golf and tennis. After his athletic pursuits, Sir Austin became involved in sports administration becoming president of the Amateur Athletic Association of Barbados from 1970 to 1974 then again in 1981 to 1988. He became Honorary Life Vice President from 1988 until present. He furthered his sports administration pursuits when he became President of the Barbados Olympic Association Inc. from 1982 until 1996. Sir Austin is also acknowledged for being the founder of the CARIFTA Games, the annual Caribbean Junior Championship in 1972. In 2013, during the Opening Ceremony of the 42nd CARIFTA Games in The Bahamas, Bahamian Prime Minister, Perry Christie, saluted Sealy for “creating a competition which became a model” across the world. Among his other achievements, he was a Director of Barbados Organising Committee for the 2007 Cricket World Cup and Chairman of the Coordination Commission for the Commonwealth Games in 2010 in Delhi, India. 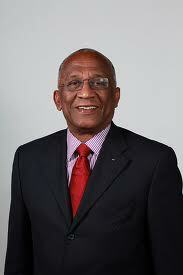 Sir Austin was awarded the title of the IOC member to Barbados in 1994 a position he currently still holds today. He contributed to the success of the Olympic Games in Beijing in 2008, through his work with the Coordination Commission and in 2012 became a member of the Coordination Commission for the 2012 London Olympics. In 1985, Sealy was awarded the Silver Crown of Merit by the Government of Barbados.